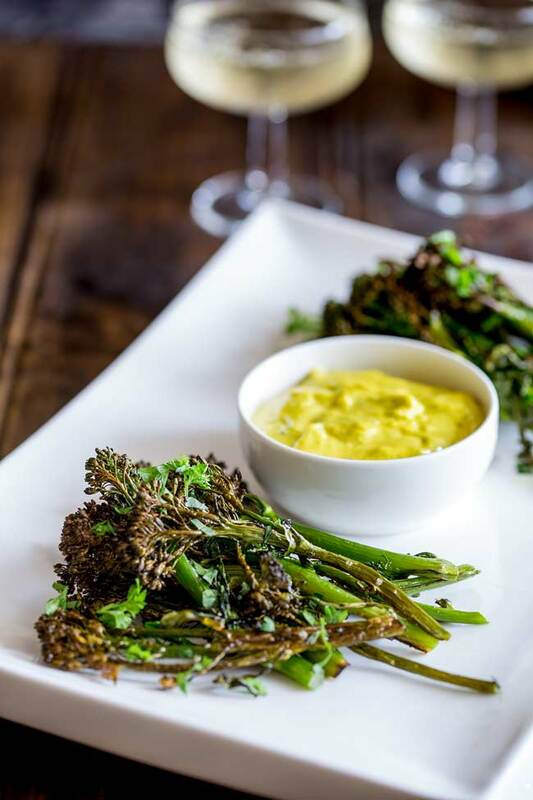 This Roasted Broccolini with Easy Béarnaise Sauce will quickly become your new favourite vegetable dish. Forget the soggy broccoli of your childhood, this is crunchy, sweet and nutty. Delicious as a side dish or served as an appetizer. You may have seen it at the grocery store and not been sure what it was or how to cook broccolini. Although it might look like it, Broccolini isn’t baby broccoli. It is actually a hybrid between broccoli and chinese broccoli. What can I substitute for Broccolini? Broccoli Rabe is much stronger and has a much deeper bitter flavour. I wouldn’t substitute it in here. But if you can get your hands on it purple sprouting broccoli is a great substitute in this roasted broccolini recipe. 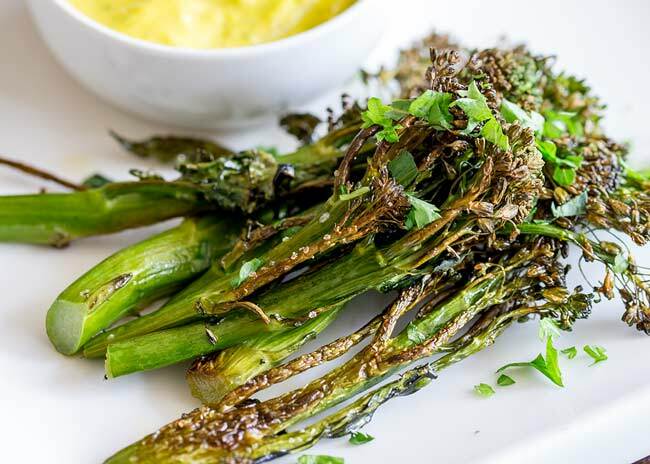 You could roast up normal broccoli florets and serve then with the béarnaise sauce, it wouldn’t be quite as elegant looking but it would still be super tasty. And we all know that really flavor is king! Like so many vegetable, broccolini is A-MA-ZING when roasted. And it is so simple. Spread the veg out – it needs space to roast. If it is touching it will start to steam. 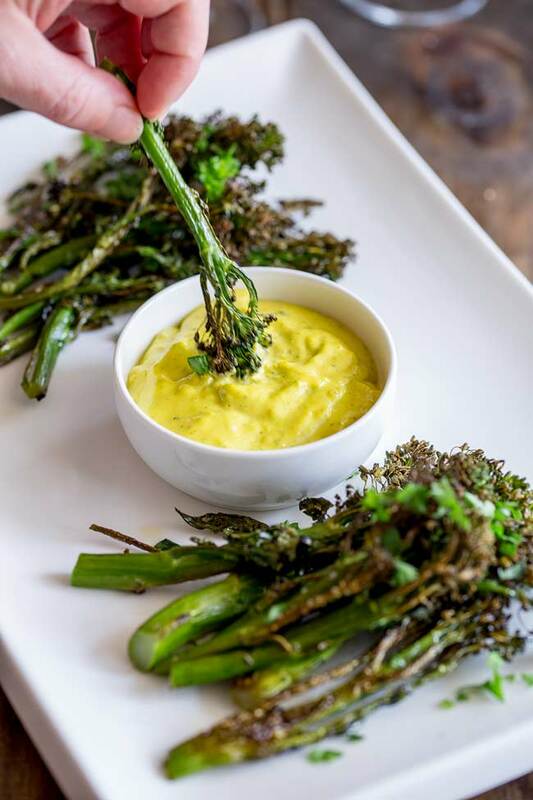 I love to serve this roasted broccolini with a pot of béarnaise sauce. Rich, buttery and packed with flavor, béarnaise sauce is the best. BUT just like hollandaise it can seem a bit scary. This is why I came up with my own method for making it. It isn’t authentic but it is easy and takes the stress out of it. And that is what I am all about…. easy and stress free food! I start with dried tarragon and some tarragon vinegar (or white wine vinegar) – this removes the reducing vinegar stage and gives you a punch of tarragon. I use hot melted butter, which takes away the need for slow addition of cold butter. Then I use my immersion blender/stick blender to combine everything, this removes the constant whisking. Then I add some fresh tarragon to wake everything up. This doesn’t remove a step but it is so good! Just as a very important note: The recipe calls for unsalted butter, if you use salted butter in your béarnaise sauce please don’t add any salt, the sauce will be inedibly salty. P.S if you love broccolini why not try this delicious pork and broccolini stirfry from Jenni over at the gingered whisk. 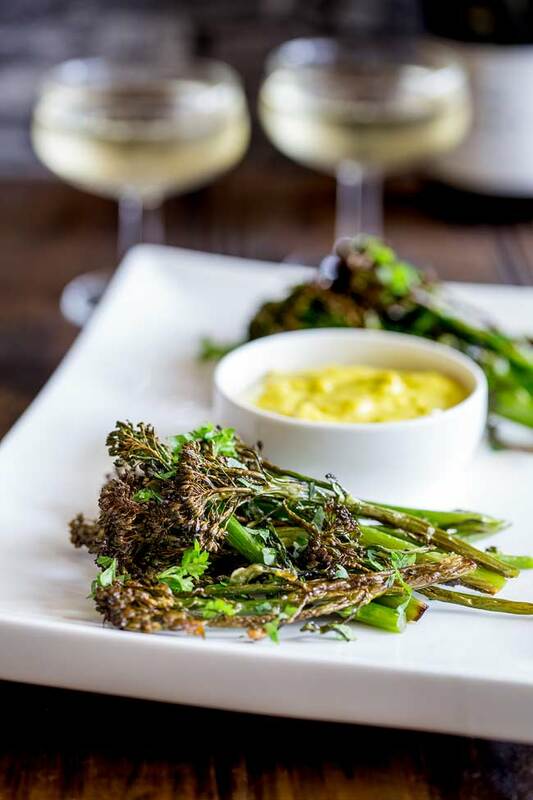 This Roasted Broccolini will quickly become your new favourite vegetable dish. Forget the soggy broccoli of your childhood, this is crunchy, sweet and nutty. Delicious as a side dish or served as an appetizer. Trim the bottom inch off the ends of the broccolini stems. Lay the broccolini in a single layer on two sheet pans. Drizzle over the olive oil, season with the salt and pepper, then toss well to ensure everything is well coated. Roast for 15-20 minutes, until the broccolini is crisped lightly browned. Whilst the Broccolini is roasting make the béarnaise sauce. Whilst the butter is melting, put the egg yolks, vinegar and salt (if using) into a jug that the head of your immersion blender fits into. Blend the egg yolk mixture for a minute, until it lightens in colour and is well combined. Add in the dried tarragon and blend again briefly. Keeping the blender head in the jug, and with it running on the slowest setting, very slowly pour over the hot melted butter. As the sauce combines, continue to pour over the butter and move the blender head slowly up through the sauce. Add in the fresh tarragon and blend briefly to combine and chop. *If using salted butter, omit the salt from the béarnaise recipe. You will need a immersion blender (also called stick blender, wand blender, hand blender) for this recipe. 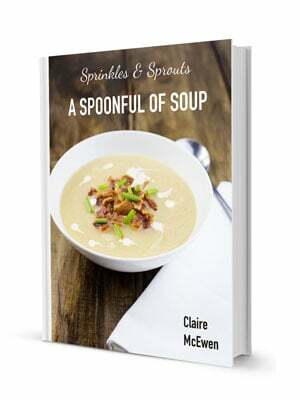 If you are a regular reader of Sprinkles and Sprouts you will know that one of my great food loves is roasted veg. Pasta, risotto and cheese are tided to my heart forever but the healthy part of me (which is pretty much my little finger) knows that I should eat more veg, which is why roasted veg is so good. It is healthy but it tastes yum! My little finger can trick my whole body with roasted veg. And I am yet to find a vegetable that doesn’t taste better roasted. In fact it even makes otherwise inedible veg taste good. Hello cauliflower I am looking at you! Last year I asked on Facebook whether it was totally disgusting to eat cold béarnaise sauce with a spoon….the response was split. My sister was appalled 😉 but hey! If you have leftovers and they don’t re-heat well, what is a girl to do. Try it, you will love me…your skinny jeans may not, but hey the diet can start on Monday right? p.s If you want to embrace my crazy roasted veg loving. Check out some of these fabulosa roasted veg recipes. 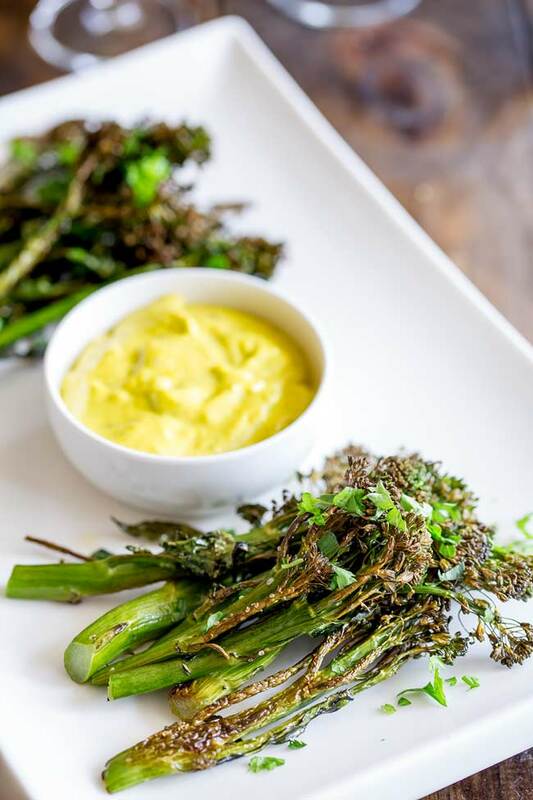 If you love food why not subscribe to my newsletter, I will drop you an email every now and then, just to say hi and send you a couple of recipes think you might love, like this Roasted Broccolini with Easy Béarnaise Sauce. I seriously love broccolini. I came across it at a farmer’s market a few years back and just fell in love! It’s got such a great flavor, this simple roast is perfect. And of course, who can turn down an easy Bearnaise sauce! It really is such wonderful vegetable, I am glad it is making its way into farmers markets. these look delicious! My kids would love this because I added dip! ha ha sneaky way to get them to enjoy a delicious meal. This will be hitting the table soon! Kids just love things with dip don’t they!!! Love broccolini, this is a great side dish recipe. Love the tarragon, too. It is such a great dish as it makes a good side or an appetizer. Had no clue about broccolini until I read your post. Sounds interesting. I love all things roasted and always roast broccoli with some ginger, garlic seasoning. I’m gonna look for broccolini here, but doubt we get it in India. That sauce is going to be on my plate next time i’m roasting broccoli. Or you can use sprouting broccoli. Thanks so much for this recipe, it looks delicious. I didn’t know what broccolini was until I read this. Tenderstem broccoli would be a great substitute! I love broccoli and these roasted broccolini look simply delicious! The bearnaise sauce sounds wonderful and so tasty too! Roasting broccoli just gives it such an amazing flavour doesn’t it. I definitely need to find some broccolini although I don’t think it’s that readily available in the UK. 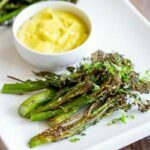 This looks incredibly tasty, I love the idea of pairing the roasted broccolini with the bearnaise sauce… Yum! Hi Bintu, you could easily substitute purple sprouting broccoli for the broccolini. This looks like a nice apperrizee. I have never tried bearnaise sauce. Would love to do son with these roasted babies.